Motivating young students to search for difficult answers to complex scientific questions can seem like an insurmountable challenge. HappyMess is sharing a detailed synopsis of our Solar Energy curriculum because we really saw an evolution in the minds of our young scientific team, The SolarNauts. 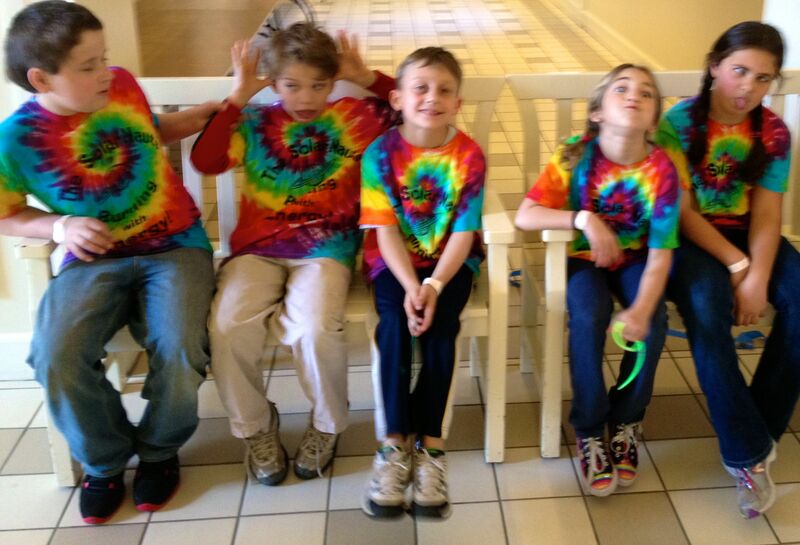 HappyMess has spent 9 months guiding a diverse group of 7 students through the process of scientific inquiry. After reviewing our incremental steps we noticed that our success was partially due to the process. Our team used a truly multi-disciplinary approach to arrive at their final goal: a comprehensive (grade appropriate) understanding of the fundamentals of energy, solar energy in particular. The steps are listed here in order of execution. 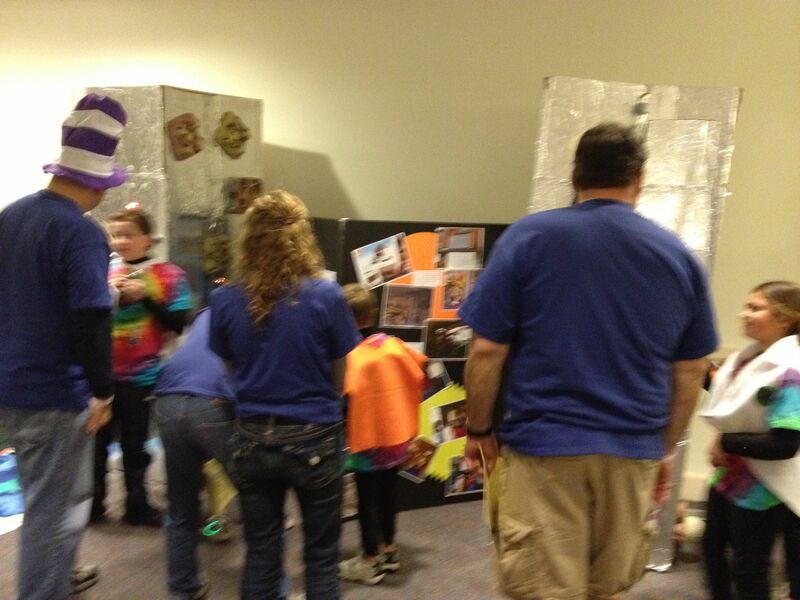 Competition The SolarNauts, our Elementary Destination Imagination team, are competing in the Science Challenge, The Solar Stage. These (young) students are learning to do their own scientific research and writing, no easy task. They are struggling to grasp concepts such as renewable vs. non-renewable energy sources, composition of fossil fuels, creation of electricity and the existential nature of energy itself. The competition focuses their energies, gives them specific goals and really motivates the students. They need to work as a team, be creative, scientifically accurate and be able to demonstrate their knowledge through a theatrical production. They are motivated because it is fun to work as a group and they want to win. These two factors make them determined to do their very best each time they are together. Library We began our research the old-fashioned way, at the library. 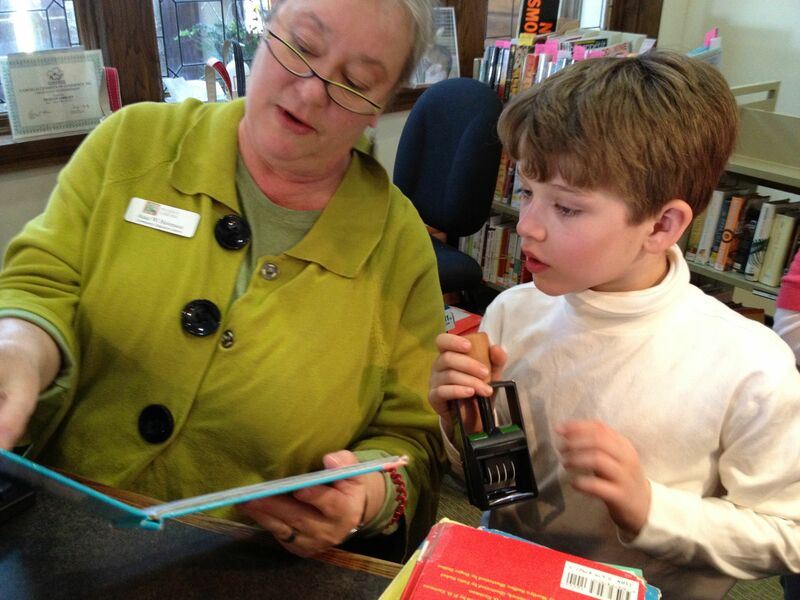 The SolarNauts chose books on energy, renewable energy sources and experiments with light and electricity. We read these books both as a group and individually. Unexpected Favorite Book: The Day-Glo Brothers, by Chris Barton. 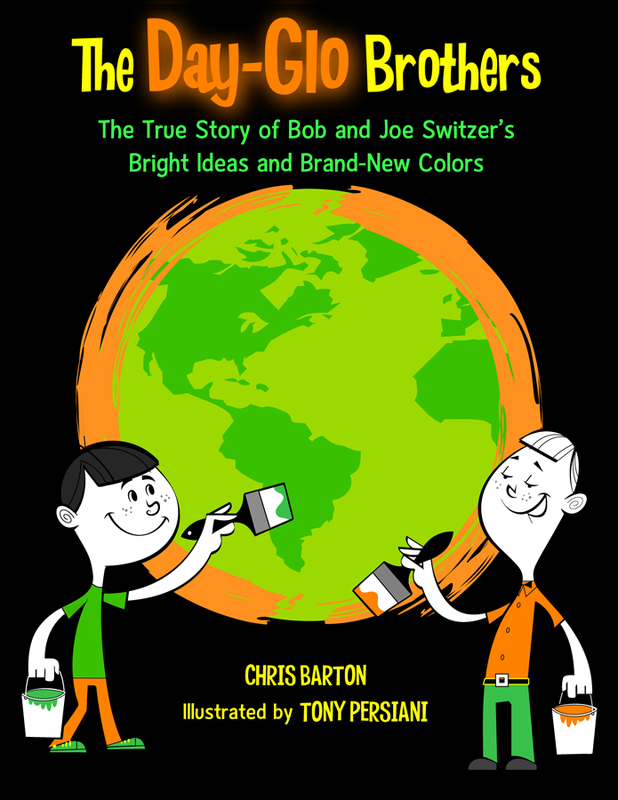 This fascinating picture book tells the story of the Switzer brothers who, through a combination of hard luck and tenacity, discovered the chemical formula needed to create Day-Glo paint, thus changing the color of our world and leaving an indelible color imprint on the 1960’s. We really recommend this book. It is totally relevant, educational and motivating. The Day-Glo Brothers shows how science can be entertaining, fun and useful in so many diverse ways. It will change the way you look at color as it demonstrates the chemical changes that occur through exposure to sunlight. Engineering Our next step in the process of scientific exploration was to attempt to build a solar powered toy car. This task proved to be too difficult (delicate wiring to be done by tiny hands) but along the way the team was able to see for themselves how a solar panel would generate power which could travel through the wires to a small engine. 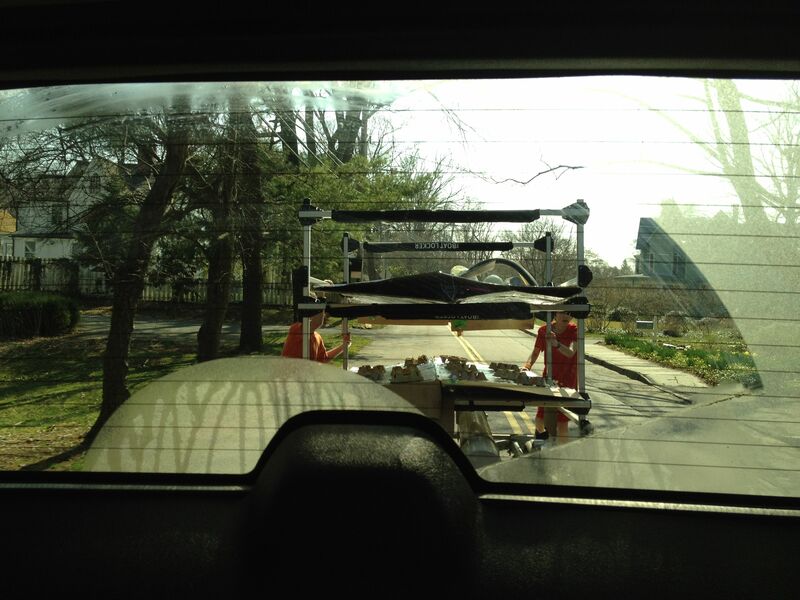 The solar powered engine moved gears, thus turning the wheels of the car, and causing it to “drive” across the floor. Art As part of our understanding of light and illumination The SolarNauts created luminaries to experiment with the way light is displayed through color and how an image changes when it is lit by background and foreground lighting, seen in the light and seen in the dark. 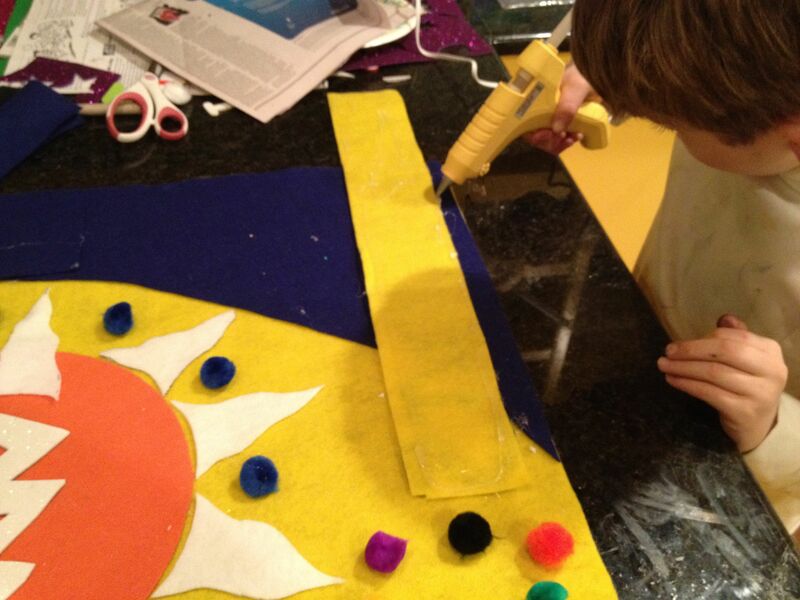 To create the luminaries we used black card stock. The children left the card stock “whole” but cut designs out from within the card stock, thus creating a negative space design. 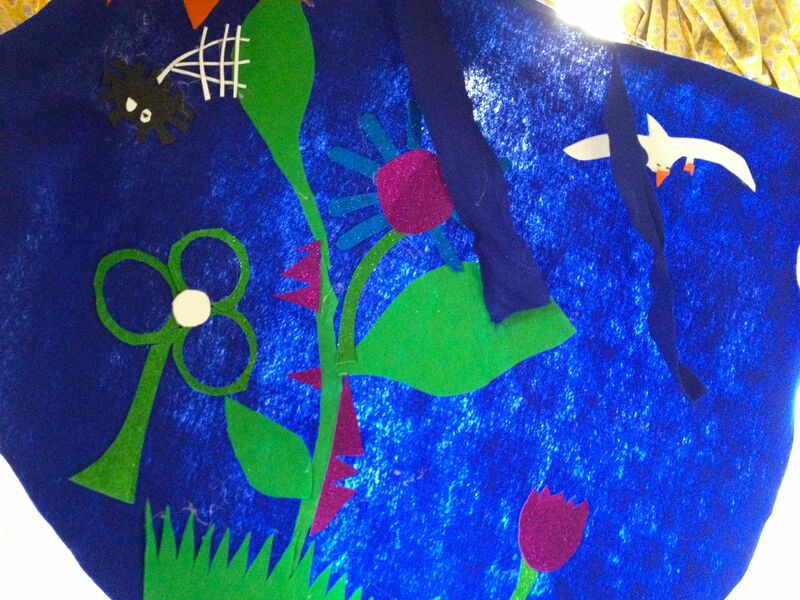 They then filled the cutouts with tissue paper collages. 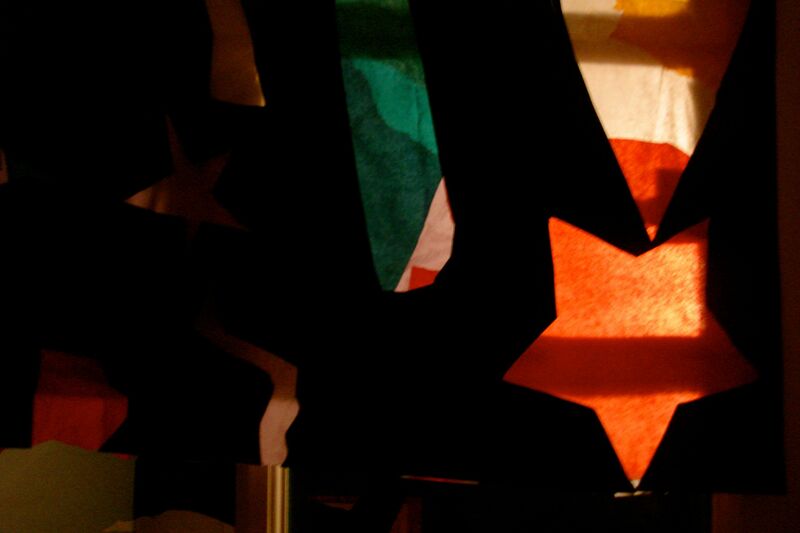 When the room is darkened and the luminaries are lit from behind only the tissue paper images are visible, thus creating a stained glass effect. The results are quite striking and the kids were pleased. Puppetry We studied shadow puppets as part of our further inquiry into light and illumination. 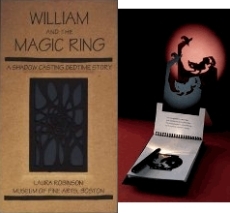 In this area our very Favorite Book is William and the Magic Ring by Laura Robinson, published by the Museum of Fine Arts, Boston. This is more than a book. It is actually a spiral bound theater for your home. The book describes itself as, “a shadow casting bedtime story.” It comes complete with a flashlight. Each page is a board that creates a shadow image on the wall of a darkened room. The story tells the tale of a boy who is frightened by the shadows in his room only to discover later that they were made by ordinary parts of his bedroom. We read this book, in the dark, repeatedly. Then we got out our black paper and scissors and made our own shadow puppets. It was a great lesson on light and dark and storytelling with a surprise ending. Discussion Our team discussed solar energy. The information was complicated and definitely required repeated exposure. When we were together we read our science books aloud. Each student had the opportunity to explain the reading to one another. We studied energy from multiple angles and it was clear the students were still only slightly grasping the complicated topic. We had a long way to go. Internet What science project would be complete without Internet research? We found multiple interactive websites on both solar energy and electricity. 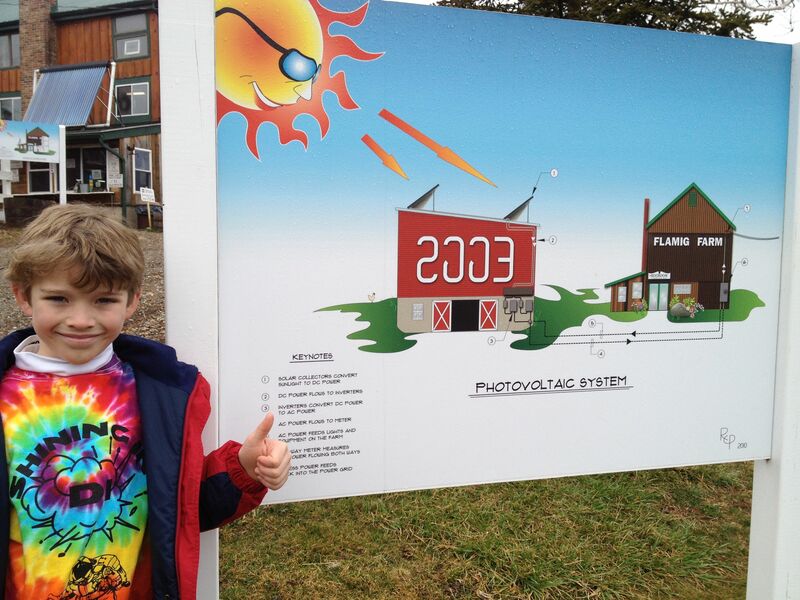 Our two favorite solar energy websites were http://www.eia.gov/kids/energy.cfm?page=solar_home-basics and http://www.going-green-challenge.com/solar-energy-for-kids.html . The electricity website we found most helpful was http://www.sciencekids.co.nz/gamesactivities/electricitycircuits.html . This website allows students to build virtual electric circuits and turn lights off and on with the flip of a virtual switch. The Internet proved to be a great resource for images of all sorts of solar powered vehicles and solar panels. These images provided concrete pictures of both current and future solar technology and allowed our students to begin to visualize how the components of energy work together. We were beginning to understand. Power Point Presentation One of our (slightly older) team members created his own power point presentation to explain solar energy technology. He then presented this information to the group, becoming a team teacher as well as a team member. His confidence encouraged the other team members. If he could learn it then so could they. 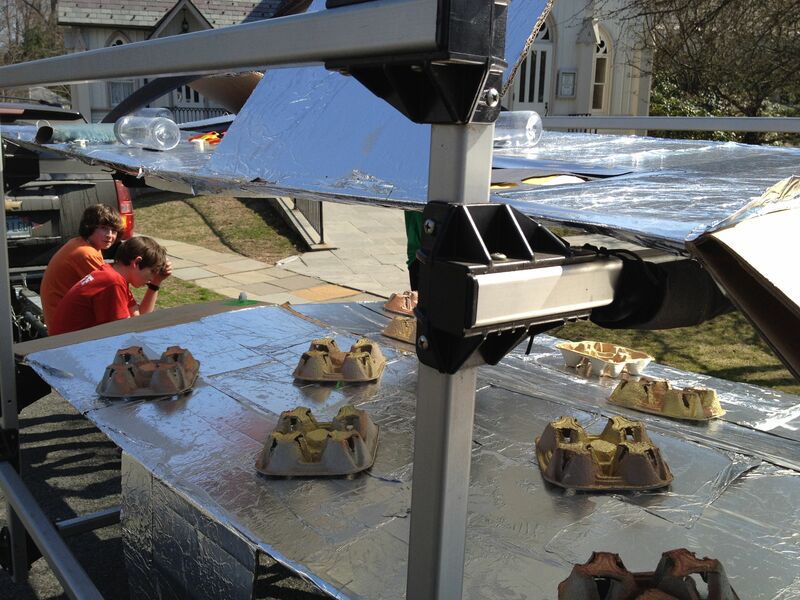 Our team returned to the Internet and began to excitedly find new images of solar technology and do further research on child-oriented science websites. They were beginning to understand that the information existed and that they could find and understand it..
Interview One of our fathers has a career in the renewable energy sector and made himself available to discuss current solar technology. Our group came to understand the current limitations on use of solar power and solar panels. They also were surprised to learn that their team “invention” of collecting photons in outer space and sending them to earth via solar energy beam was actually something that scientists are contemplating for the future! Electric Circuitry One of our favorite tools for teaching about electricity and circuitry is the Snap Circuits set. Bounce built countless small electronic devices from this set including a light, a doorbell and a little revolving helicopter that could spin and fly. 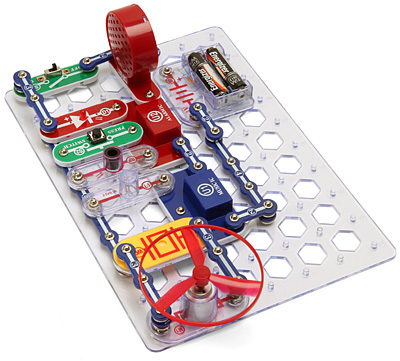 This set really teaches the fundamentals of circuitry. You can follow the directions for building 100 projects or, as Bounce did, you can create your own projects once you understand the basics. Snap Circuits helped Bounce understand how the Electric Grid works. Prototype Creation The SolarNauts designed the Beam Machine. This prototype of the future would be a working solar photon collecting station floating in outer space. The Beam Machine would collect photons, convert them to thermal energy, then to electricity and ultimately send the electricity from the space station (Beam Machine) directly to earth’s electric grid via a high energy laser light beam. They built their Beam Machine out of refrigerator boxes. These boxes were covered with various recycled materials to create solar panels and photovoltaic cells. Plastic water bottles turn water into steam, creating thermal energy. Display Board At the center of the Beam Machine is a scientific display board. The team created this display board to demonstrate their understanding of current use of solar space technologies. Many space stations currently collect photons to power their stations. Future technologies are anticipating the creation of “solar elevators” which will be able to transmit electricity from space to earth. The SolarNauts’ board highlights these ideas while also creating a clear portrayal of how their own design, the Beam Machine would work. Team members later took this board to their respective schools and used it to teach other students about solar energy. Field Trip No research project would be complete without a field trip. 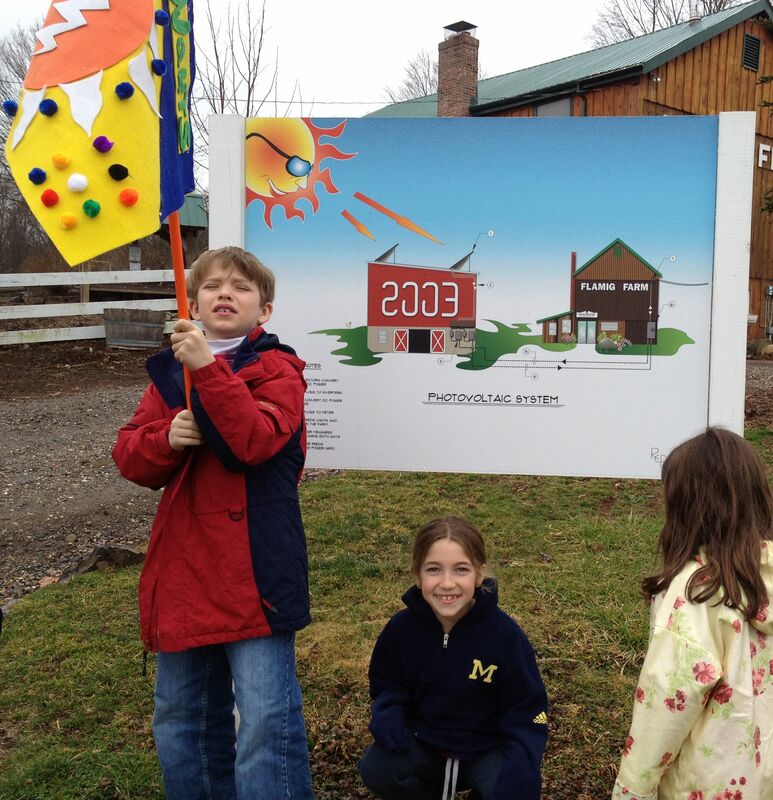 Our SolarNauts visited a local farm which is partially powered with solar energy. 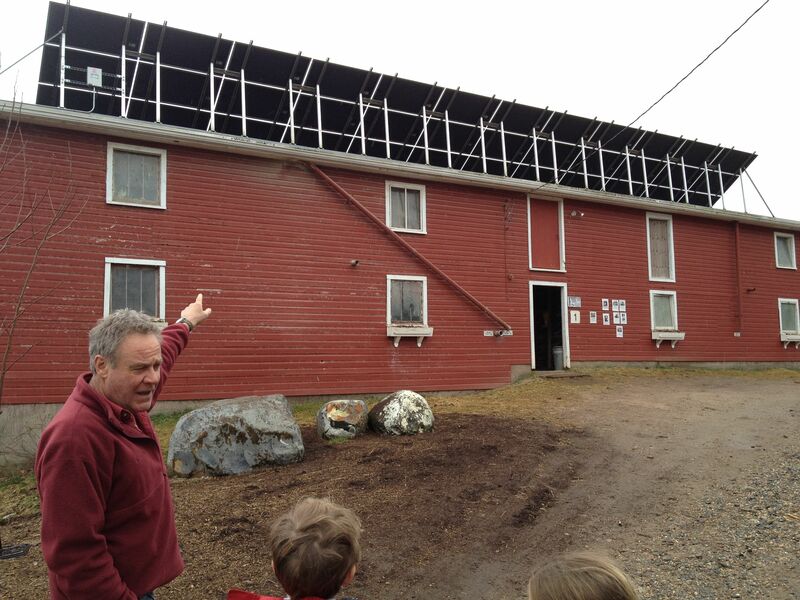 This farm uses solar panels to collect energy which is then converted to electricity. 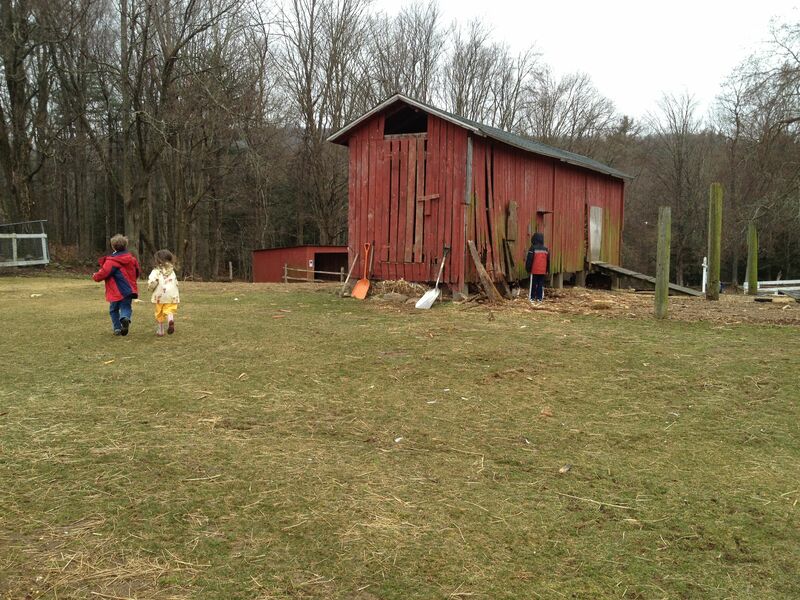 The farm typically creates about one third of its needed electricity. 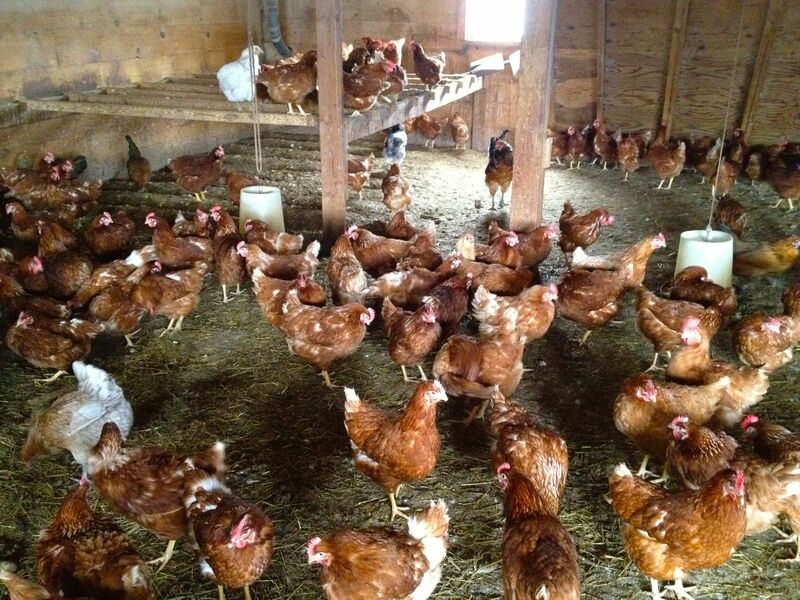 During the summer months the farm sometimes generates excess electricity. Excess electricity is then sold to the electric company, through the electric grid. The farm also uses solar power to create thermal energy to heat the solar hot water heater. Eureka! After months of studying, reading, discussing and building the kids finally understood! They saw real solar panels, real electric panels, real thermal panels and they understood just how they all worked. The SolarNauts happily explained the science behind the hardware and the farmer was surprised by their knowledge. This farm also creates its own biodiesel fuel from used vegetable oil. 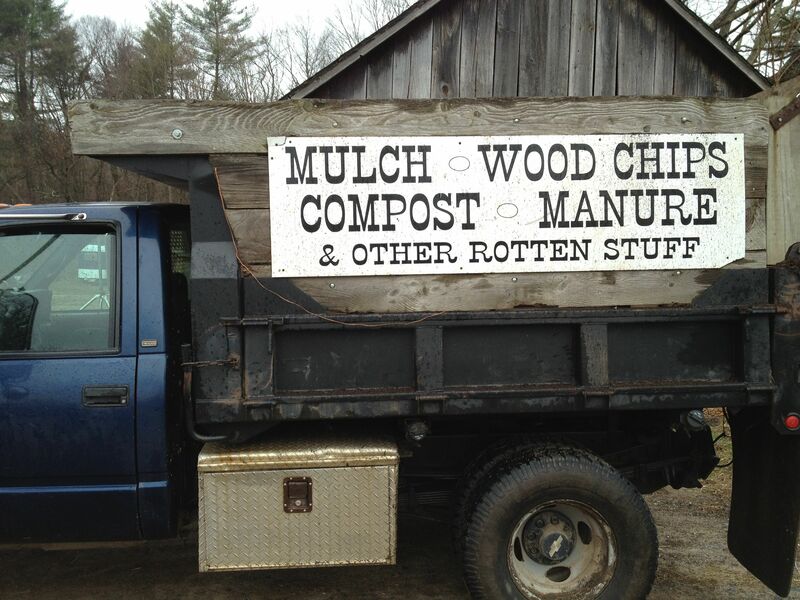 The farmer gave a complete description of how he can power all his vehicles with old oil from restaurants’ French fry machines. The SolarNauts were very impressed that anything as disgusting as old vegetable oil could still be useful and good for the environment. "I learned that chickens stink!" 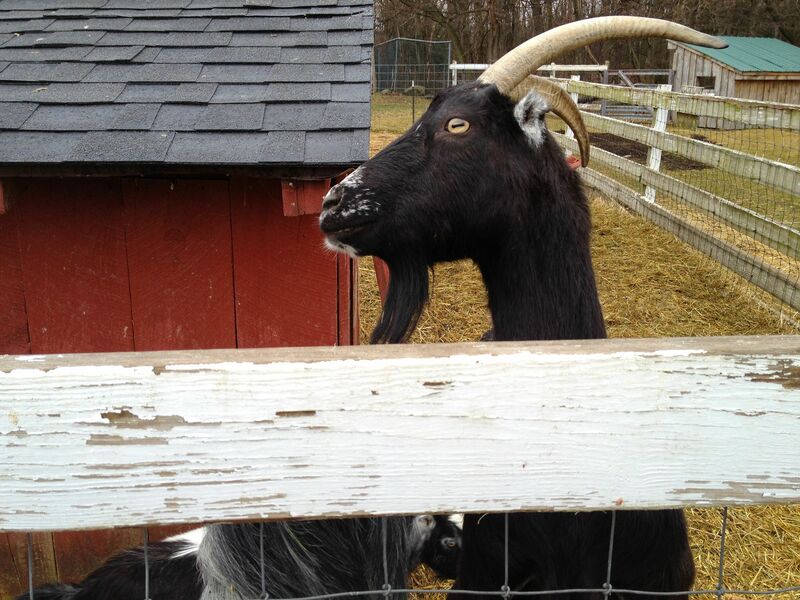 Of course, the best part of the trip was seeing all the animals. Favorite Science Books After all our research and our many library books we finally stumbled upon our Favorite Energy Book, The Shocking Truth about Energy by Loreen Leedy. If you read only one book on the subject it should be this one. 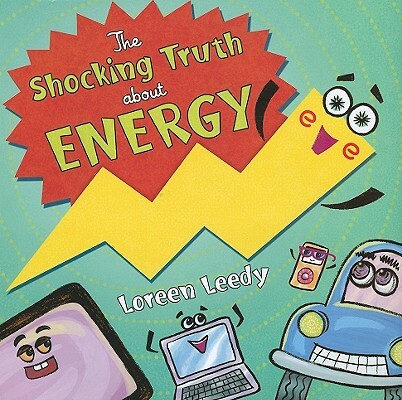 The Shocking Truth about Energy is a captivating picture book that describes all the most salient scientific points in simple terms using appealing and educational illustrations. This small book told the whole story and reads like a bedtime story, not a book filled with “facts”. 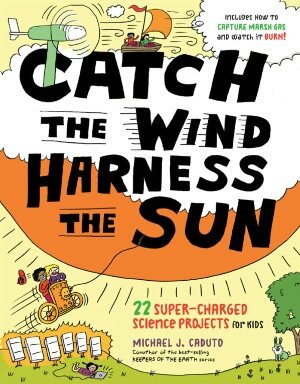 Our second Favorite Science Book is Catch the Wind, Harness the Sun by Michael J. Caduto. It gives simple explanations of complicated facts and is filled with surprising and simple experiments that will inspire your children. Our favorite: to better understand the impact of electricity in our modern world, Spend 24 Hours Without Using Electricity for Anything! This is the type of simple experiment that has immediate meaning to children. Catch the Wind, Harness the Sun is filled with numerous, more complicated, but equally achievable experiments. You and your students will certainly enjoy this book. Writing Now it is time to put it all together. The competition actually calls for all this information to be put into the context of a theatrical presentation. That means writing a script. The SolarNauts divided this task with two members writing the script and a third member writing a theme song. Remaining members collaborated on an opening song to introduce the play and provide set up time. 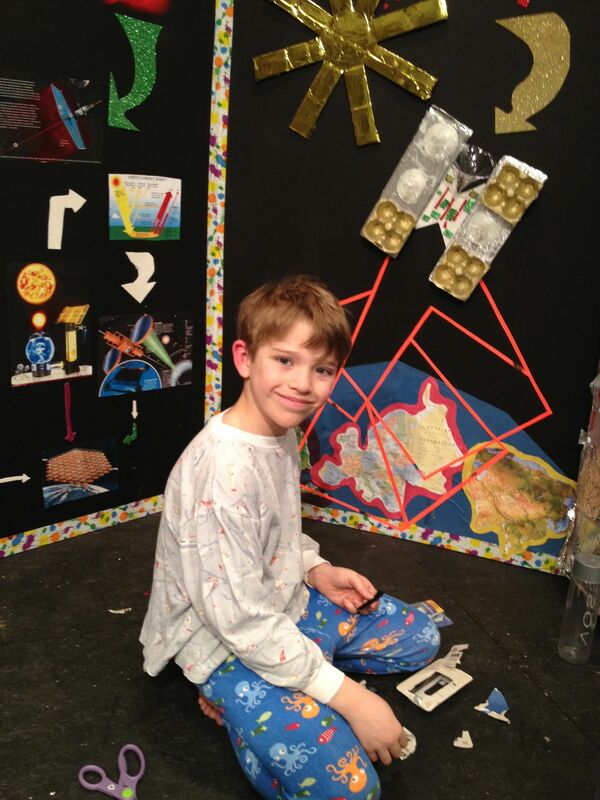 Writing the script required creatively integrating all the scientific knowledge while solving a fictional problem. We won’t tell you the whole plot here as we can’t reveal all our surprises while still competing, but the team managed to create a story which highlights the need for solar energy while also providing a solution to current solar energy inadequacies. Theater So now that the script is written and the team has learned all the words to the songs they are ready, almost. 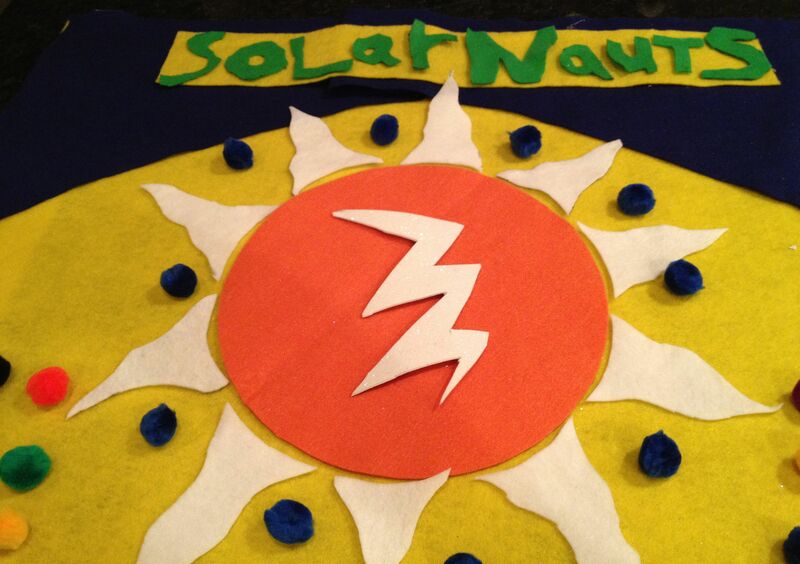 SolarNauts now need to make their costumes, sets and props. This is the fun part. The team each made their own costumes, designing, gluing and examining themselves from every angle. Everything they create must be done by themselves. A component of this competition is that part of this play must be performed in the dark. Yes, the dark. 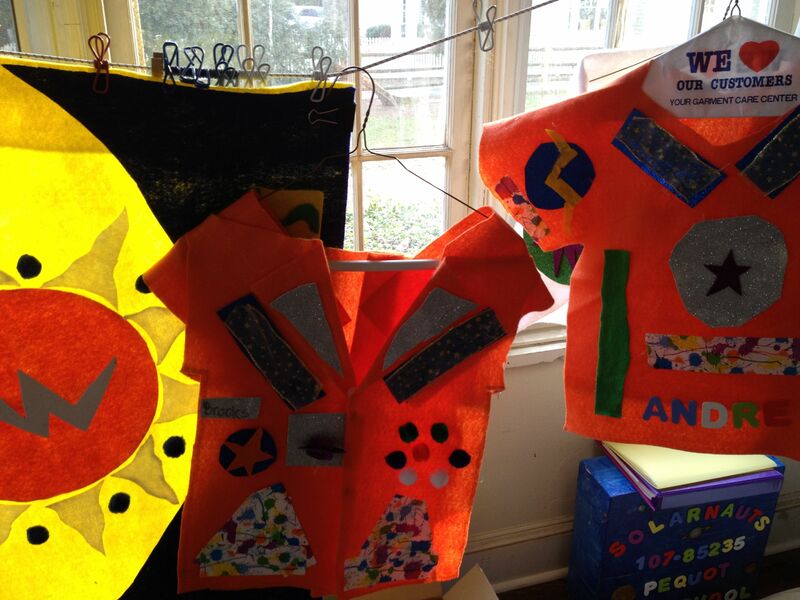 The SolarNauts sprayed all the clothes with glow-in-the-dark paint so they would be visible in the dark. They covered lanterns with colored cellophane to create mood lighting. They used glow sticks and flashlights to illuminate their Beam Machine. 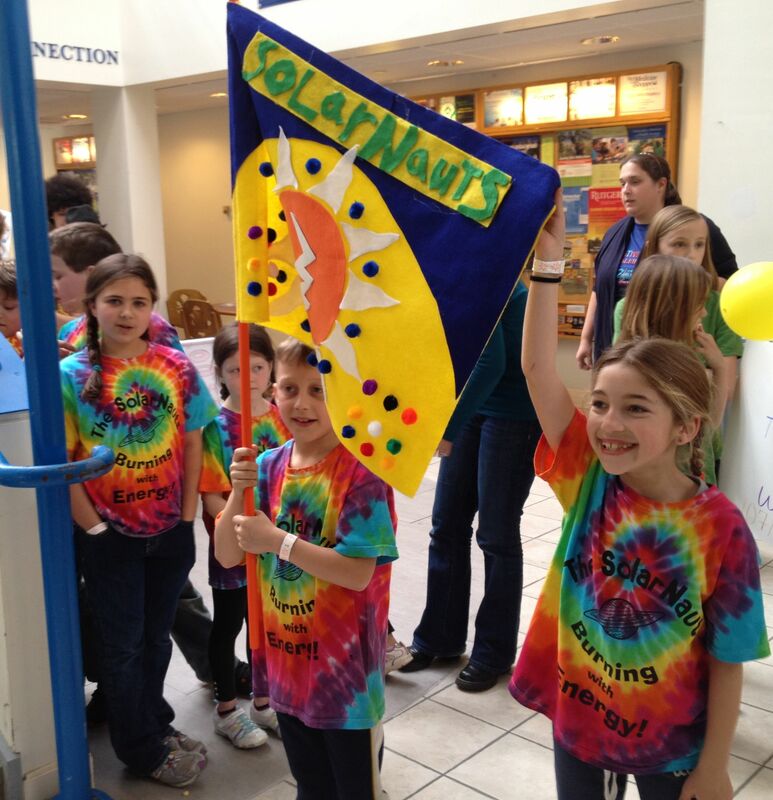 The youngest members of the team dressed in phosphorescent clothing and posed as “photons” while other orange-suited SolarNauts tried to “capture” them as an energy sources. The play was ready to be performed. Teaching Our team never wants the final performance to be the dress rehearsal. With this in mind, rehearsing is a key component of the competition and performance process. The SolarNauts received permission from the local nursery school to perform their play one time for each individual class. After 6 performances, and many question and answer sessions The SolarNauts were set for the big time: an evening parent performance to be followed by a pot-luck dinner party. By this time The SolarNauts were confident in their performance and also articulate about their subject matter: solar energy. State Competition The big day is finally here. But, are we worried? Not a bit. This team has researched, studied, learned, written, created, rehearsed and performed. They re-glued a few broken props, did one trial run through of the performance and they were ready. The stage was set and this time when the lights went off the team was truly in the DARK. Their sets glowed, the flashlights illuminated the set and before we knew it the performance was flawlessly executed and the cast members were saying their final lines, “We saved planet Earth just in TIME!”. Hooray! 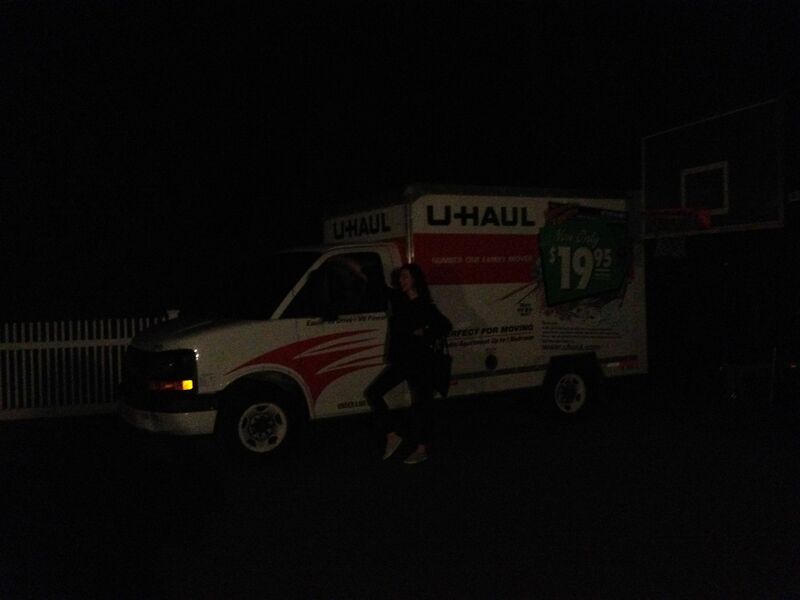 Our goals are achieved. 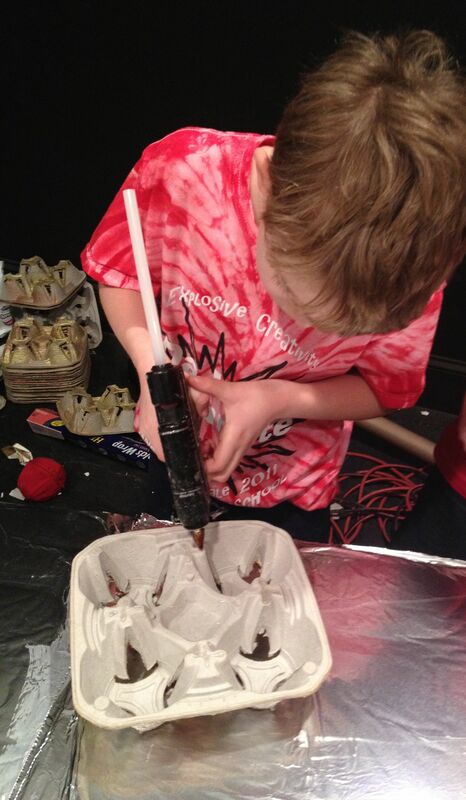 The SolarNauts have really learned the material and are able to teach others! And The SolarNauts reached their goal! They are now this year’s State Champions! Next stop Global Finals where they can compete with teams from around the world! 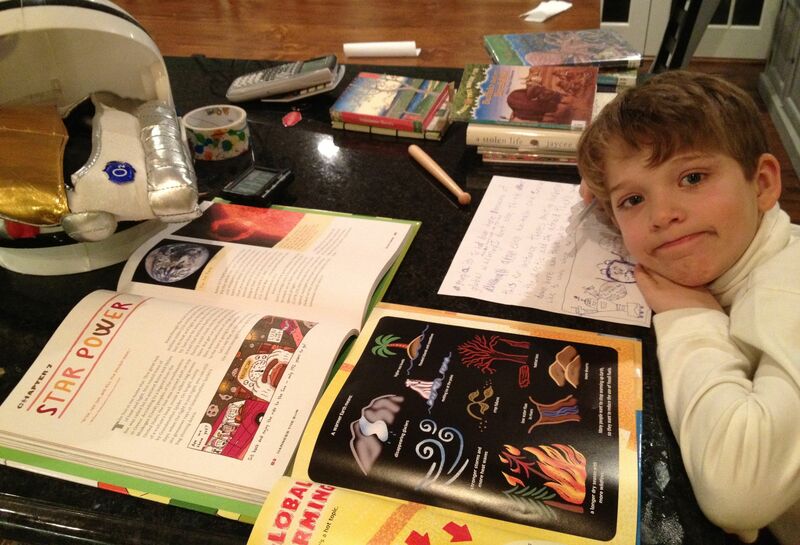 Let Me Count the Days: Homeschooling is using as many different approaches as possible to allow our students to be inspired by their own education.